I love winter Olympic Games! It's so thrilling to watch figure skating or skiing. I just wanna share some of my opinions and impressions about Olympic Games. • I love the fact that Olympics take place in Sochi, Russia. So nice to see them in your native country. • My favorite sports are winter biathlon, skiing and snowboarding. I personally hate hokkey. It's not interesting for me at all. 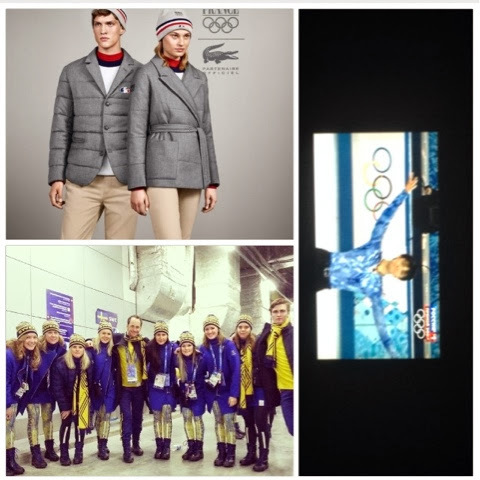 • Costumes at the opening ceremony. I'm really interesting in fashion and stuff like this, owing it I love to see and appreciate costumes. My 2014 faves are costumes of France and Sweden. Russian costumes probably ones of the ugliest costumes ever.